Somerset — Lowell Gene Roy was born on June 11, 1938 in the Hickory Nut area of Pulaski County, Ky. He departed this life on June 2, 2011 reaching the age of 72, after a long illness. He was united in marriage on October 10, 1959 to Cynthia Schafran, who survives. To this union were born four children, Martina of Dearborn, Mich., Mark of Dearborn Heights, Mich., Mike (and Gerri) of Garden City, Mich., Marlene (and Greg) of Livonia, Mich.. 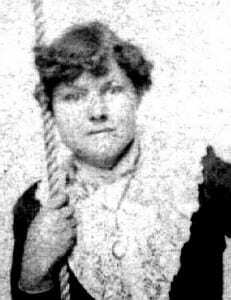 He was the youngest of six children born to Vola T. Roy and Myrtle Spaw Roy, who preceded him in death. He was also preceded in death by two sisters, Marcie Dye and Geneva Spencer, and one brother, Ether Roy. He is survived by one brother, Clair Lee Roy of Melvindale, Mich., and one sister, Rebecca (and Tom) Waddle of Monticello, Ky. He is also survived by five grandchildren, Ryan, Stefanie, Brandon, Madilyn and Matthew and three great grandchildren, Samantha, Nicholas and Zachary. He was saved as a young man and was a member of Mt. Lebanon Church in Kentucky. He joined the Army in 1958 and served two years of service to our country. He worked most of his life as a truck driver, which he greatly enjoyed. His greatest joy was his farm back home, which he visited when he was able. He leaves a multitude of family and friends who will greatly miss him. Funeral services were held at 9800 S. Telegraph at Howe-Peterson in Taylor with burial to follow on June 6, 2011 at Lakeside Memorial Gardens in Somerset, Ky., on West Ky. 80. 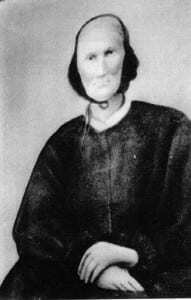 John M. James (1751-1823) was one of the founders of Flat Lick Baptist Church, located outside Shopville in Pulaski County, Kentucky. Most of the his fellow founders were rebel preachers like himself, who had been persecuted for preaching without a license. 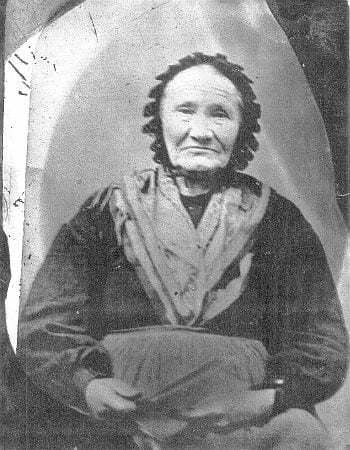 They made their exodus from Virginia in 1781 in a Traveling Church, bound for the Shawnee temple of New Canaan, called the Cain-tu-kee. 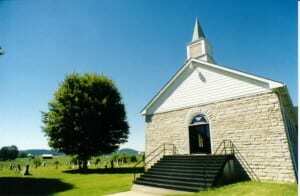 John provided the land upon which the original log church was built in 1799. 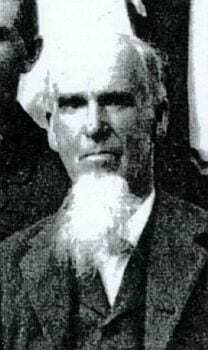 The first pastor at Flat Lick was James Fears, followed by Stephen Collier. Then came John’s “talented, but erratic” son, Joseph Martin James (1791-1848), who was expelled from the church and defrocked for his alcoholism and bigamous marriage with a parishioner. Joe’s brother-in-law, Robert McAlister (1782-1851) assumed Joe’s role as pastor. Robert was followed by Joe’s son, John James (1816-1902). John graduated Georgetown College with his cousin Reverend Robert Sallee James, the father of Frank & Jesse James. 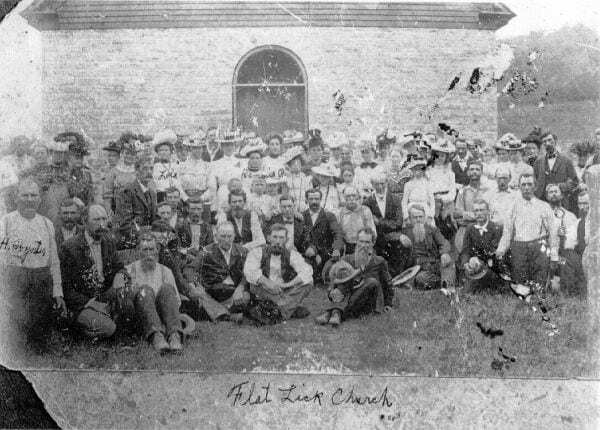 This image of the Flat Lick congregation was taken in 1899, on the 100th anniversary of Flat Lick Church. 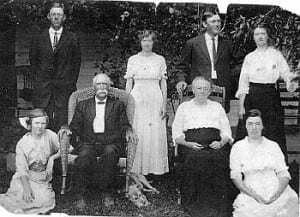 Kneeling center, in his white shirt and suspenders, is another son of Joseph Martin James, Edward Perry James (1847-1931). 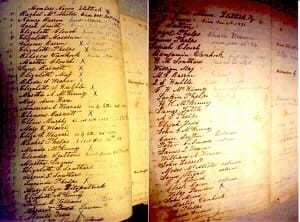 The original register of Flat Lick Church remains preserved today in the church’s archives. 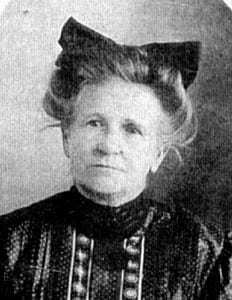 Among those listed here appears Martha James and Rachel McAlister, Pastor Robert McAlister’s wife. Other James family members populate the register, including one of the James family’s enslaved persons, Nutty James. 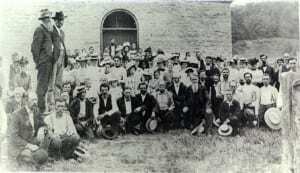 The enslaved were an integral part of Flat Lick’s congregation. 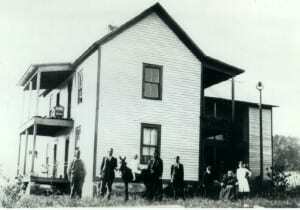 While the men and women sat on the ground floor level opposite one another, the enslaved stood in the loft. This is another photo taken on the 100th anniversary. The original log structure was replaced in the late 1840s, when Joseph Martin James was pastor. 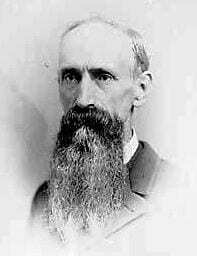 Ransom Carson supervised the enslaved who built the new church of stone. 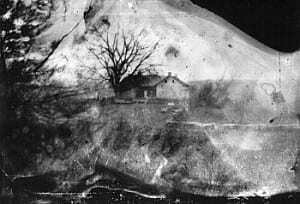 At the same time, Reverend Joe had Ransom and the enslaved build Joe a stone residence, which Joe then occupied on the knoll above his store house at Dahl Road and Flat Lick Creek. Some time later, a portion of the church’s stone wall collapsed during a fire. The congregation immediately fully restored the church. 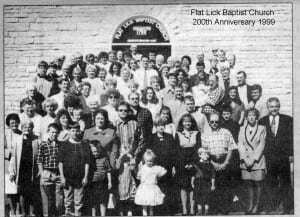 This picture of Flat Lick’s congregation was taken in 1999, following ceremonies celebrating Flat Lick’s 200th Anniversary. 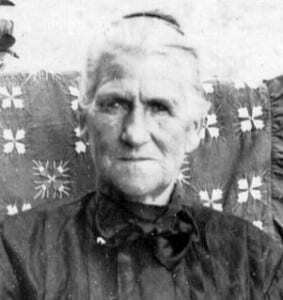 On that day, the congregation heard from a descendant of John M. James. John’s 4th great grandson Eric James recounted the James family’s historical association with the Church, as Eric stood at the very lectern from which his ancestors preached 200 years ago. 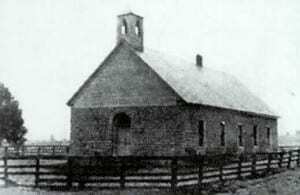 From the large number of churches that were spawned throughout central Kentucky, and as far as Tennessee, Missouri, and Texas, from this church, Flat Lick gained a reputation for being a Mother Church. Flat Lick Baptist Church proceeds into the 21st century, fully functioning and operational. 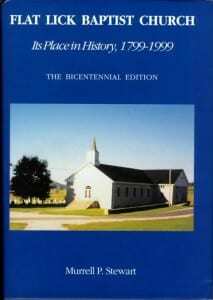 To commemorate the 200th Anniversary of Flat Lick Baptist Church, this book was published, documenting the church’s history. Copies may be purchased by writing directly to the church.